Our commitment to excellence and detail has led us to form relationships with many different vendors in the Annapolis, Baltimore, and Washington D.C. areas. From bakers to musicians, we have connections to resources that have similar values and devotion to excellence. 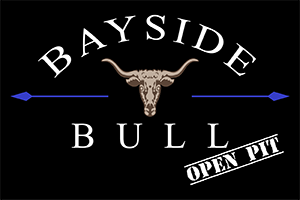 Feel free to ask Bayside Catering to provide additional recommendations for your event! At Bayside Catering, the goal is to make every wedding reception an unforgettable event. We will walk you through the event details from start to finish. To us, weddings are not just about the menu, they are an expression of you and your partner. From Traditional to Tapas, Bayside Catering will make your special day a memory to last a lifetime. Bayside Catering has extensive experience in corporate catering services. We keep specific needs and expectations in mind as we customize menus for each of our clients. From meetings to associate lunches and special events, we prepare everyday favorites such as macaroni and cheese, sandwiches and soup to more elaborate courses delivered right to your business door. Not sure what you want? Don’t worry! We can help. Contact us today and we can help create a menu that is sure to please the palettes of your guests.